p.s one more stupid question,i love your castbars just one thing,is it possible to selfcastbar and target have same font size?cause i notices target have a bit larger font. Last edited by okiesmokie1983 : 10-06-18 at 08:45 AM. Just saw your UI and i like it ALOT! and if there was a chance you would make it possible to show tooltip on mouse instead of a set position on the monitor? Thanks for a sick UI - even tho im not using it YET! Last edited by Arohi : 09-04-18 at 04:15 PM. 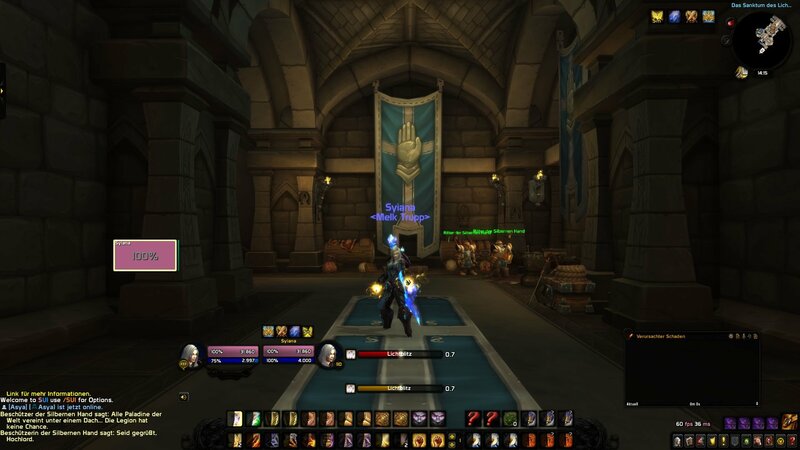 Incredible addon, looks really good! Thanks for the work. Would it be possible to get an option to disable black borders on debuffs of self and target/focus? (to see what type of debuff it is from the colored border eg. blue magic, red bleed, purple curse etc.) At the moment I manually removed code to get it myself but I'm sure other people would probably have an interest in the option. Hey, could you tell me in which file did you change that? Thanks. Last edited by Longwei : 08-27-18 at 02:05 PM. Last edited by Konvickt : 08-22-18 at 02:29 AM. thank you so much Syiana . While at it could you please add the ability to change the scaling/size of the unit frames ? and could also look into the "target of target" bug. it sometimes shows it and other times it doesn't. Last edited by mtaher : 08-22-18 at 02:00 AM. Chance for the old mini bar to return? 2x12 and just right/right 2 bar when enabled on the side? Now its 2x12+2x6 next to eachother. My class color dosen't shown on the unitframes Except this I love this UI! Any Idea How can I solve the color problem? Last edited by WOWgoblinka : 08-19-18 at 02:55 PM. Last edited by kernick : 08-19-18 at 01:47 PM. Hello thanks for the constant updates. Anyone else having issues with Target of Target not working ? it is enabled in the blizzard interface. for some reason it sometimes works and at other times doesnt. Last edited by mtaher : 08-17-18 at 04:12 AM. Re: Is this something you can fix? ehm you sure that you use SUI ? Last edited by Syiana : 08-15-18 at 12:05 PM.